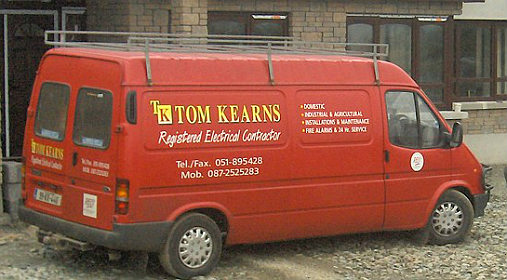 Contact Tom Kearns Electrical Contractor, Your Reliable Electrician Waterford & Kilkenny. All Types of Electrical Work – 24h Emergency Call-Out! "Tom did a Great Job"
"Highest Standard - Minimum Disturbance"
Copyright © 2019 www.tomkearnselectrical.ie. All Rights Reserved.